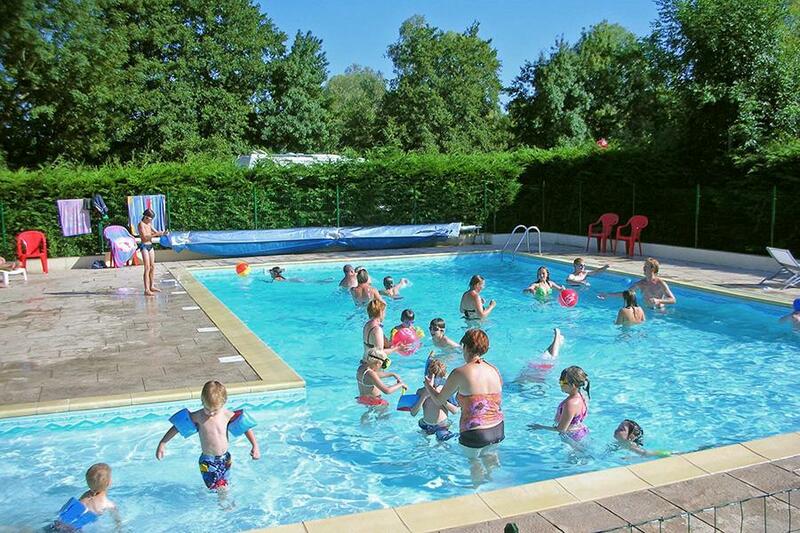 At Campsite La Héronnière in Laives (Saône-et-Loire) camping costs as little as €18,- per night during low season with CampingCard ACSI. At one of the 80 touring pitches you will get a discounted rate during the period 01-03-2019 - 30-06-2019 and 01-09-2019 - 31-10-2019. At this campsite you can not only use your CampingCard ACSI for inexpensive camping, you can also use your ACSI Club ID (as an alternative ID). Peaceful campsite 200 metres from large recreational lake, plenty of fishing opportunities, swimming pool on campsite. Suitable for cycle trips. Facilities very dirty, no lights in toilets. one sink in toilets which had the tap removed. Only one washing up sink in operation in the shower room as the main row of washing up sinks outside had all the taps removed. We don\'t usually use our own campervan facilities, but this time felt this was the only way to feel clean. Owner was friendly when we arrived but did not agree with our complaints. This was the worst campsite we visited during our 4 week holiday. no experience of food or drink or surroundings - didn\'t want to stay but needed 5 reviews for my review to be accepted. We chanced upon this site whilst making our way back to Calais and stayed for 3 nights. The site owner was very helpful with tips on where to visit, cycle paths etc. As its located on the edge of a lake there are also opportunities for walking too. There is so much to do in the area and is a good stop over to break the journey or for a short holiday. I think the current owner has only been there for a year but he is certainly building the site up. Nothing to complain of whatsoever as concerns this lovely campsite. I only stayed one night, but the male owner was extremely pleasant and spoke excellent English too (I was surprised at how excellent). The toilet & shower facilities do come across as slightly dated, but everything was very clean indeed, and the water was hot, so what more could I wish for. The swimming pool had been recently shut, but looked beautiful, and the site is very quiet at night & in the day. The site is surrounded by woods and directly next to a large (very pretty) lake. I would guess that it would be a very beautiful place to be in the Summer months. An excellent choice also for a stopover if travelling North or South as the Autoroute Du Soleil is nearby. Used this site for an overnight stop and was very impressed. Staff are very friendly. Pitches are very well maintained. Snack bar very good. Would go again for a longer stay. Would you like to book Campsite La Héronnière or request more information? You can do both using the information below or by visiting the campsite's website. From North: A6 exit 26 Chalon-sur-Saône. D906 dir. Mâcon. At Varennes-le-Grand D6 to La Ferté. D18 dir. Lacs-de-Laives. From South: A6 exit 27 Tournus. In Sennecey-le-Grand: D18 dir. Lacs-de-Laives. CampingCard ACSI will send your information request to "Campsite La Héronnière".